Navigating the world of financial aid can be a difficult time during a student’s college journey, and that’s why Olivet College is hosting Financial Aid Fridays this winter. Any student and their family who has received his or her award letter may schedule an appointment with the OC financial aid team to discuss their award letter or ask questions about costs related to college. Every Friday from mid-January through February, four appointments are available for students and families to learn more about award letters and the next steps to take toward becoming a Comet. Available time slots are 10 a.m., 11 a.m., 2 p.m. and 3 p.m. Students and families are always welcome to meet with the financial aid team during a campus visit as well. 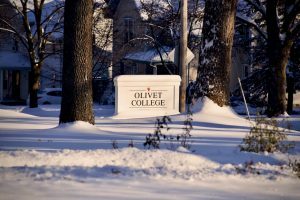 Attend an upcoming admissions event or schedule a campus visit to check out Olivet College and opportunities for Comets. Contact your admissions representative or the Office of Admissions at 800.456.7189 or admissions@olivetcollege.edu to learn more.